AMC fans who enjoy those moments when Michonne joins the battle will love this collectible. While not guaranteed to slice through a hoard of zombies, the Walking Dead Katana Letter Opener will cut through those stubborn envelopes. Modeled after Michonnes preferred weapon when slicing and dicing through undead flesh, this letter opener serves both a decorative and functional purpose. The stainless steel blade of the miniature replica possesses a mirror polished finish. Leather and ray skin form the tsukamaki that decorates the handle. The included scabbard features the same wrapping and is fitted with an adjustable shoulder strap. 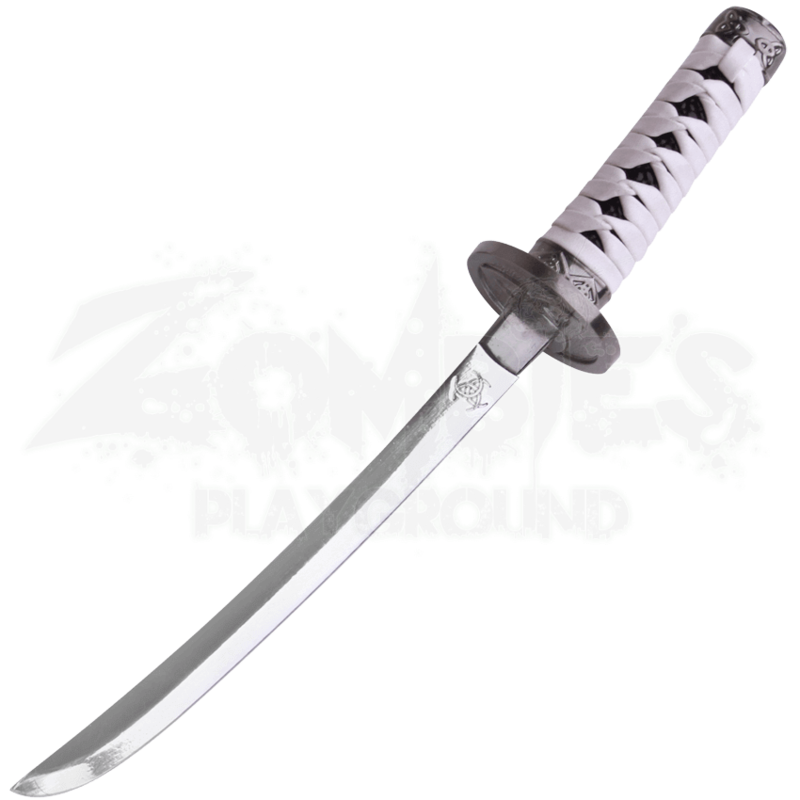 When not in use, keep the Walking Dead Katana Letter Opener on display with its licensed stand.